You are looking for new challenges? Join the HAMMUN 2019 Crisis Staff! 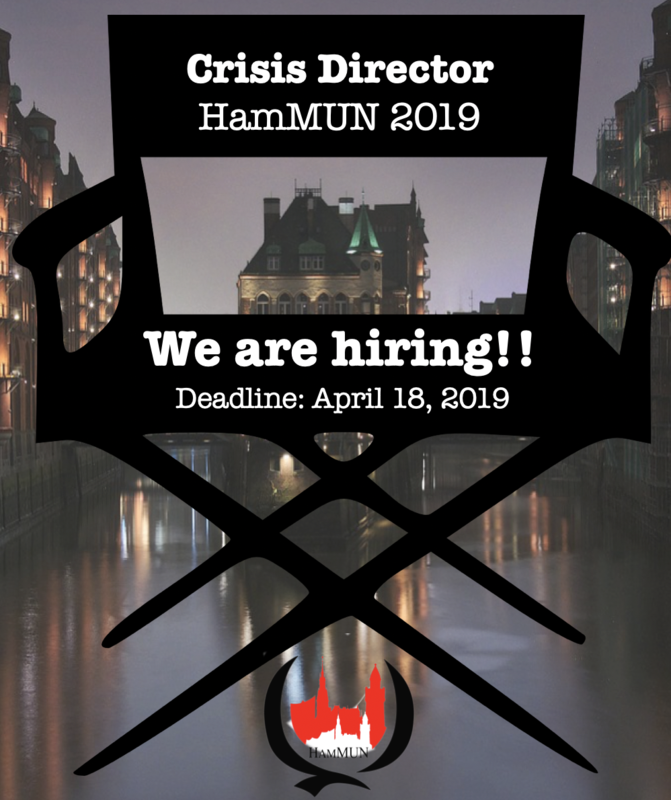 We are currently looking for a CRISIS DIRECTOR who is comfortable taking the responsibility of managing HamMUN crisis and running the crisis staff! If you are eager to handle the macro narrative of HamMUN crisis, manage the backroom and issue and approve directives, then don’t miss out on this opportunity! Deadline: April 18th, 2019 (11:59 PM). We are looking forward to welcoming you to our team!